I'm an old timer, been building Datsuns of all sorts since 1982. My father was part owner of a Datsun dealership in NE North Carolina so I've owned just about all of the fun Datsuns/Nissan's. I'm currently considering either a 620/720 IMSA inspired wide body truck with a vg30 turbo, 240sx IRS. If anyone knows where a wide body kit for either of these trucks can be found please contact me. Welcome to DMT new oldtimer. 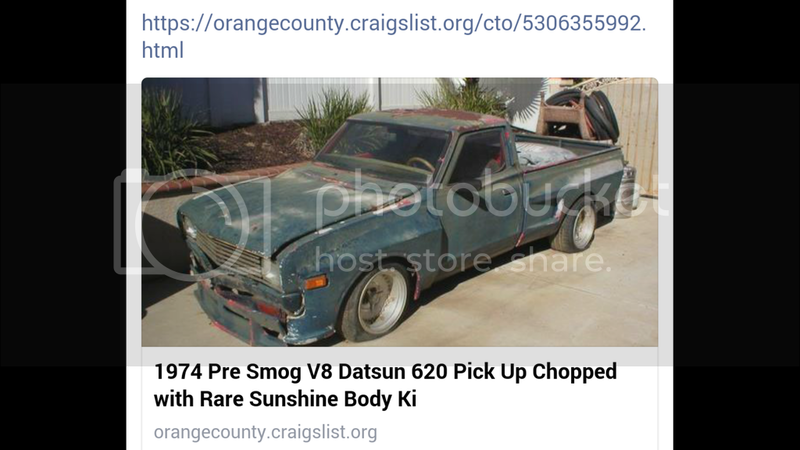 We'd really appreciate some pics of your past Datsuns if you have any. An IMSA 620 body kit is ultra rare. About 7 months ago during a roadtrip I found this and only wished it would go to a good, loving home.